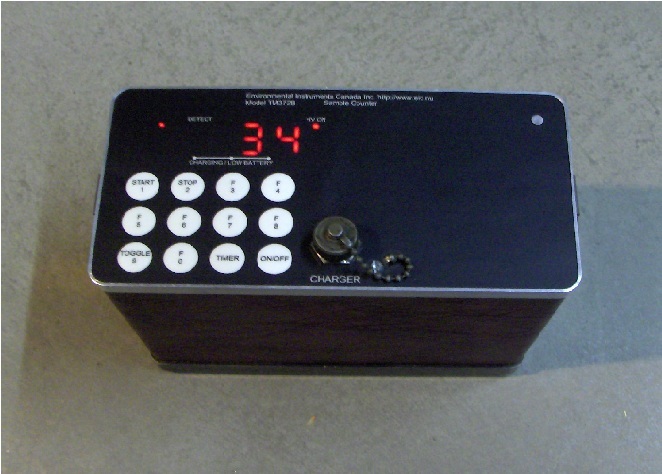 A completely self contained portable sample counter, the TM372 has been the workhorse for radon progeny measurements in Canadian uranium mines for over 20 years. A pump (not included) is used to draw air through a filter, trapping radon progeny on the filter. The filter is then inserted into the TM372 and the alpha radioactivity is counted. A technician uses a known formula to convert the number of counts to Working Levels (WL). A technician will typically walk through the work place, taking one sample with his pump and counting the previous sample in the TM372, which he/she carries on a shoulder strap. Using this method, a skilled technician can take a sample every 6 minutes, which is about 3 times faster than automated instruments. Another advantage the TM372 has over more complicated instruments is the traceability of the measurements and quality control. Radon progeny measurements are often taken to demonstrate regulatory compliance. It is therefore important that the reported values are traceable. The efficiency of the TM372 can be determined using a traceable source. The flow rate of the sampling pump can be measured on a primary standard, such as a bubble tube. The sampling time is measured with a stop watch, which can be checked against other watches. The airborne radioactivity readings are then calculated using first principles and traceable input parameters. More recently, the TM372 has also become the instrument of choice for counting Long Lived Radioactive Dust (LLRD) samples. The TM372 was developed by Tri-Met Instruments Ltd. in 1972. Known as the "Tri-Met TM372" or simply the "TriMet", the TM372 has been the workhorse for radon progeny measurements in Canadian uranium mines. More recently, the TM372 has also become the instrument of choice for counting Long Lived Radioactive Dust (LLRD) samples. Tri-Met Instruments Ltd. was sold to new owners in 1997, but the TM372 assets were retained by the original designer. All assets relating to the TM372 were purchased by Environmental Instruments Canada Inc. in April 2000. This acquisition has expanded our leadership position from radon gas instrumentation for engineering control to radon progeny and LLRD instrumentation for regulatory compliance. 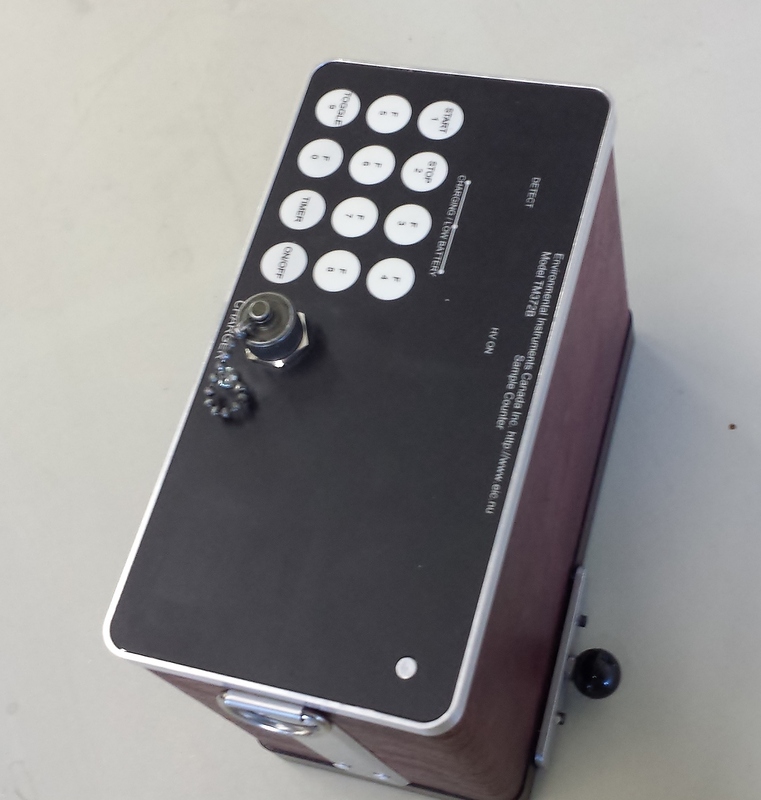 This newest version of the TM372 includes a larger, brighter display and a membrane switch keypad. It retains all the functionality of the original TM372 and now allows the device to count for any user defined time as well as display the time remaining while counting. For a more detailed description and for operating procedures, refer to the TM372B user's manual. The TM372B Sample Counter was developed for the efficient measurement of alpha radioactivity on filter media or planchettes. A bare (no foil cover) ZnS(Ag) detector to ensure that detection efficiency is	independent of alpha particle energy. The following table shows the technical specifications for the TM372B. The TM372B are guaranteed against defective materials and workmanship for a period of one year from the date of purchase. Warranty covers labour and part replacement costs but does not include the cost of shipment to EIC. Return shipments for repair are to be made only after having received approval by EIC. No warranty is made beyond repair, replacement, or refund of the purchase price. In no way shall EIC's liability be in excess of the purchase price of the product. EIC assumes no liability for loss, damage, or delay during delivery. Additional insurance on shipments is the responsibility of the purchaser. EIC will conduct repairs as quickly as possible according to the purchaser's needs, but is not responsible for delays or any losses incurred by the purchaser as a result of delays. The TM372B retains the functionality of the original TM372 but has a new membrane switch keypad and a larger and brighter LED display. An LED indicator on the right of the display shows that the high voltage is on and an indicator to the left of the display shows that the unit is currently counting. Thirty four counts have been recorded since the count began. The sample tray is pulled out of the TM372B, ready to accept a sample for counting. In this picture, the sample tray is retracted. The sample is now directly below the internal detector and ready for counting. 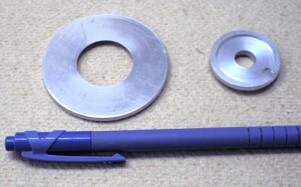 The sample holder (small disc shown) sits inside the sample tray. The sample, usually a filter paper, is placed into the holder. The retaining ring is placed over the sample and holder, holding the sample in place. Once the sample tray is retracted, the entire sample holder assembly is held in place by the internal geometry of the TM372B. Sample holders for 25 mm, 37mm and 47 mm samples are included. In this video we introduce the TM372 Portable Counter. We identify the parts that are included with the TM372, along with other accessories needed for counting radon progeny that are not included with the TM372. We also show how to assemble the unit and make it ready for use. 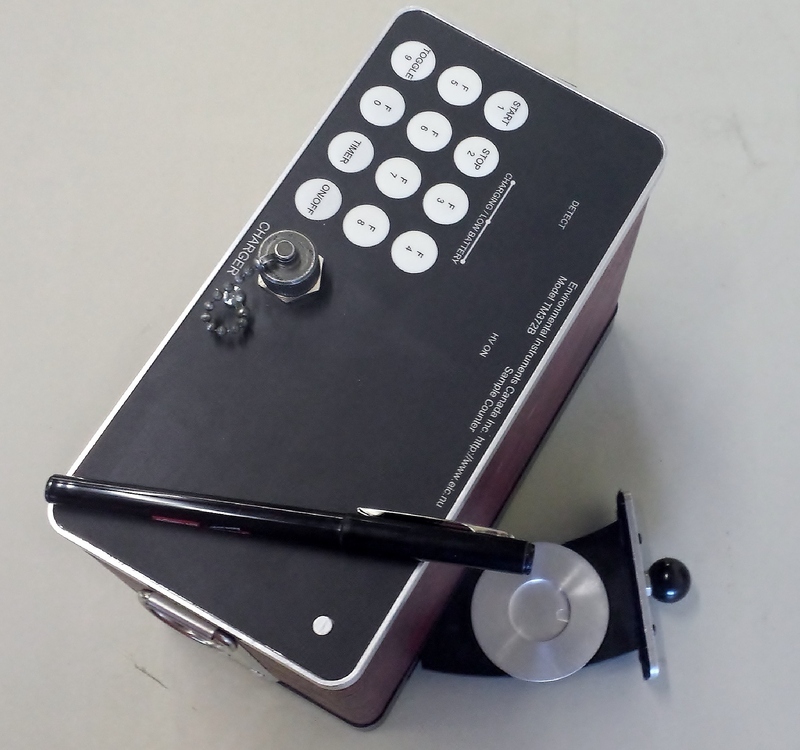 In this video we demonstrate the operation of the TM372 Portable Counter. We show how to perform a background check and a source check. Lastly we show how to take a sample and count it using the Rolle Method.